(Andrée-Noëlle Pot/Le Matin @ Huffington Post) We recently covered the story of a young Texas girl’s Samsung Galaxy smartphone incinerating near her head as she slept. Her phone was ruined, but the fire didn’t spread beyond the underside of her pillow, so she and her family were not harmed. 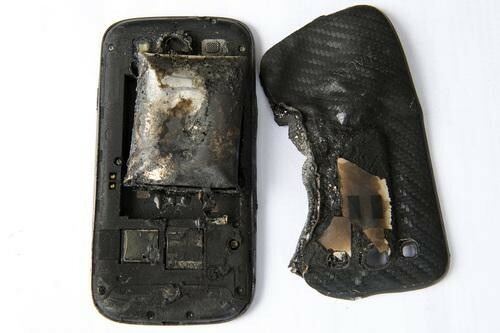 Of course, not all chargeable electronics fires end without injury (see:this smartphone battery that exploded in a Florida gym, causing facial burns to one woman). Obviously, these are extraordinary circumstances. Your smartphone isn’t just going to up and explode on you in 99 percent of scenarios. Still, we were curious as to what you, dear reader, could do to prevent similar smartphone combustion. And so we talked to the device experts at iFix, a New York-based gadget repair service. 1. Stay away from low-quality batteries. When replacing your phone’s battery, you’ll probably want to skip the cheapest option on eBay or Amazon and instead seek out the same one with which your Samsung, HTC, or LG phone came (from what is often referred to as the “OEM,” or original equipment manufacturer). If you must go with a third-party replacement battery, iFix considersAnker a trusted brand. 2. Keep your phone in a well-ventilated place while charging. The second no-no with the Texas case: The charging phone was under a pillow. For obvious reasons, this isn’t good for the goal of keeping your phone from overheating. A rule of thumb would be to place a charging phone in an area away from insulating fabrics or other heat-emitting electronics (maybe not on top of a cable box, for example). 3. 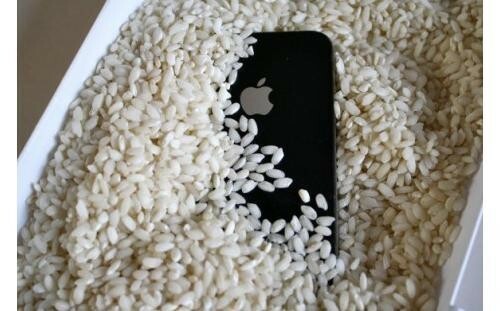 If you get your phone wet, have it checked by a professional. We all know it’s possible to bring a soggy smartphone back to a working condition, but the iFix team says that, despite your rescue attempts, corrosion or short circuiting can still occur inside the phone, undetectable to the naked eye. These conditions could lead to dangerous overheating of the device. The solution: Most repair services like iFix offer diagnostics services (sometimes for free) that can detect these types of problems for you. Of course, don’t expect the actual repair of corroded parts or shorted circuits to be free. Still better than waiting for an accident to happen, we say. 4. Don’t overuse your phone while it’s charging. Juicing up draws a great amount of heat to your phone, making it plenty hotter than it is during normal use. Because of this, our iFix experts say that hardware-heavy activities like graphic-intensive games, WiFi tethering, or even searching for service in a low-signal area — processes that will also warm your phone up — shouldn’t be done while your device is plugged in. Overusing the phone while charging “can create additional stress on the device and the charger,” iFix says. A good rule of thumb: If you are Crushing some Candy while your phone is charging, and you feel the back get toasty, put the thing down. And not under your pillow, either. 5. 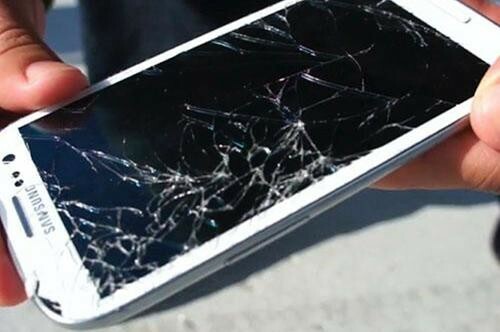 If your phone takes a nasty drop, don’t just dust it off and move on. Similar to the “wet phone” scenario, you shouldn’t just assume that your phone is A-OK because it still powers on after an unfriendly meeting with the concrete. Some possible problems caused by a nasty drop: a small crack in an internal component, a damaged or split battery, or exposed internals via a cracked display. Having your phone taken apart by a specialist after it’s suffered some trauma is going to be the best way to go. And as smartphone screen repair by third-party services gets cheaper and cheaper, the option is now both safe and budget-friendly. Oh, and also, you won’t be constantly made fun of by your friends. 6. If you notice any overheating or sudden battery drain, you may have a problem. Since the phone was not covered under AppleCare, the team assessed the possible problems and eventually decided to resolder parts of the phone’s main chip board and install a new battery. “So far it works just fine. We don’t quite know what the problem was, maybe a micro-crack on the board or chip, a loose connection, or a defective battery,” iFix said. Much the way you want a good mechanic for your car, it’s not a bad idea to have a good phone repair shop in your Rolodex for when problems like the above surface. No one is fond of the thought of forking over hard-earned money for “smartphone maintenance.” But the alternative may be too hot to handle.